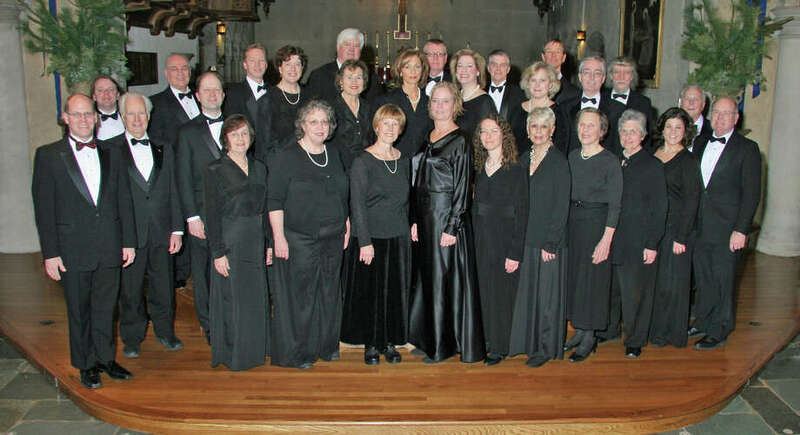 The Southern Connecticut Camerata's spring concert "The Lute and the Lamb" takes place on Sunday, April 14, at St. Paulís on the Green, 60 East Ave., Norwalk. The SCC includes two New Canaan residents. New Canaan tenor Dan Bergfeld and bass Frank Haines will perform in the Southern Connecticut Camerata's spring concert "The Lute and the Lamb" at 4 p.m. on Sunday, April 14, at St. Paul's on the Green, 60 East Ave., Norwalk. "The spring concert pairs two giants in the history of English music: John Dowland and Benjamin Britten," said Music Director Vincent Edwards. "The simplicity of the Dowland songs, accompanied by lute, is a wonderful contrast and complement to the more complex Britten songs." Featured is Britten's cantata "Rejoice in the Lamb," with text written by Christopher Smart on the walls of an asylum. The work features the SCC Chamber Singers, with soloists and organ accompaniment. Two lesser known collections of Britten also will be featured on the program: "Choral Dances" from his opera "Gloriana" and "Five Flower Songs." "The `Gloriana' choral dances are earthy and rustic pieces, fitting the image of the villagers who have been visited by Elizabeth I," said Edwards. "The `Flower Songs' are more sophisticated, each exquisitely painting a musical picture of flora ranging from daffodils to swamp flowers." New York City lutenist Erik Ryding will be featured accompanying the camerata on the Dowland lute songs, as well as in several solo numbers. Tickets are $20 for adults and $15 for seniors and students. For information or tickets, visit www.sccamerata.org or call 203-834-5059.